CRS Electronics designed this high output (HO) lamp to include patent pending adaptable dimming technology built right inside the driver. This enables a wider dimming range, less flicker, and compatibility with more transformers – with industry leading lumen output. Our patent pending driver technology includes the innovative ID-Adjust™ adaptable software. ID-Adjust™ stabilizes lamp input power by identifying the type of transformer running the lamp, and then making adjustments according to the transformer type. Real-time algorithms constantly monitor the input power signals. Any flickering, jittering or other noise is removed in real time by the advanced driver software inside the lamp. This unique and proprietary circuitry enables these high output light bulbs to work in more fixtures, and reduces flicker by keeping the light output stable in the presence of electrical noise. In addition to greater fixture compatibility with less flicker, ID-Adjust™ adaptable software adjusts to jitter, and shifts power away from the LEDs for smooth dimming to nearly 1% of full light levels. This allows for the creation of lower level lighting scenes, while providing additional energy savings. Advanced thermal monitoring circuitry protects the lamp from over-heating, while enabling maximum lumen output. Many LED lamp providers use LEDs that are packaged inside a plastic housing to reduce cost, with the LED attached to the housing using glue. However, plastic housings are inferior thermal conductors, and contribute to unnecessary heat build-up. They are also known to lose their optical reflectivity when exposed to the high light levels inside modern day LEDs. As a result, the plastic discolors and degrades, resulting in rapid lumen depreciation. 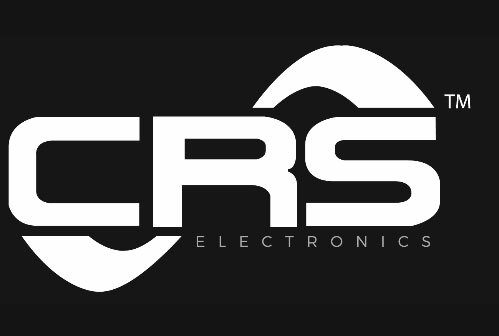 So instead, CRS Electronics have have used a ceramic housing, with the LED soldered to the housing base. The ceramic base and solder connection makes for a better thermal conductor, drawing heat away from the LED and thus extending life. It is also not prone to damage from high light levels. As a result, the ceramic housing and base degrades at a much slower rate than a plastic package, which helps significantly preserve long term lumen maintenance.